You’ll hear some tell you to “Get a mammogram now” while others will say “You can put it off until later.” Women are surrounded by mixed messages when it comes to breast cancer screening. The U.S. Preventative Services Task Force recommends mammograms every two years for women ages 50 to 74. The American Cancer Society says women should get mammograms every year after age 45, then every other year after age 55. Finally, the American College of Radiologists recommends women have mammograms every year beginning at age 40. These messages can be confusing. Figuring out the right thing to do can be exhausting. For busy women juggling jobs, family and community, finding the time to get a mammogram can be challenging. Many women may conclude they don’t have the time. Or, worse, that it’s not worth their time. We want to tell you that it is worth your time. Our cancer was found and our lives were saved by early detection through mammography. As breast cancer survivors, we know first-hand how important a mammogram can be in saving lives. It could save your life too. Our lives were turned upside down on the days that we learned we had breast cancer. You never think it’s going to be you. Yet, when our doctors told us that it was detected early and that our chances for survival were high, we came to truly appreciate how vitally important mammograms are for women. More than 90% of women diagnosed with breast cancer at the earliest stage survive their disease for at least 5 years compared to around 15% of women diagnosed with the most advanced stage of disease. There are also enormous differences in the quality of life between those who have survived breast cancer stage one and those who have survived breast cancer stage four. Those who want to scale back mammography guidelines argue that women are being overtreated, put under unnecessary stress, and doctors should instead implement a “wait and see approach,” especially for women with pre-cancer or “stage zero” breast cancer. It is true that some pre-cancer never becomes aggressive breast cancer. However, right now we don’t know which cancers will and won’t become life-threatening. Whatever guidelines come out tomorrow or in the days ahead, one fact remains: lives are saved through mammography. The more women who find early, treatable breast cancer, the more breast cancer survivors there are. This is why we support the George Washington University mobile mammography van, the “Mammovan,” which gives DC-area women access to early detection. The Mammovan goes to women, where they are – so they don’t have to take time out of their lives to travel to a medical facility. The Mammovan is a state-of-the-art facility purposely put on wheels – so that it can be embedded IN the community – available to women, regardless of their ability to pay. 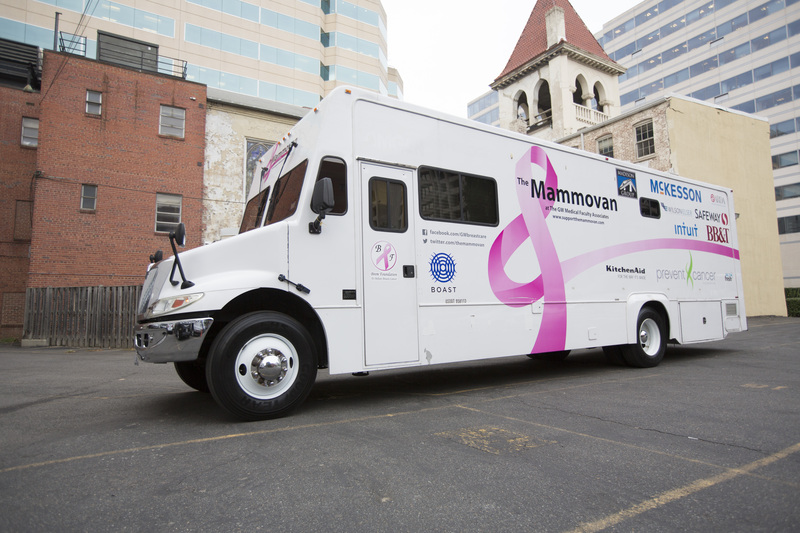 Since the Mammovan first hit the streets of the DC-area over twenty years ago, over 35,000 patients have been screened. Our goal for the Mammovan? Early detection for all women. Join us in supporting this goal by visiting http://www.supportthemammovan.com/. Talk to your doctor. Know your family history. Understand your options. Demand personalized care. Recognize that a mammogram could save your life. And look out for the Mammovan if you’re in the DC area or investigate similar services operating in your local community. Rachel Brem, MD is the Breast Cancer Program Leader at the George Washington University Cancer Center and Director of Breast Imaging and Professor of Radiology at the GW School of Medicine & Health Sciences. Dr. Brem is now a 20+ year breast cancer survivor. Liz Lord owns Arlva Homes, LLC, a residential real estate company in Northern Virginia. Liz was diagnosed with stage 2 breast cancer last year and is now happily enjoying life post-treatment.